Nice. And so it is, just not to the wallet. 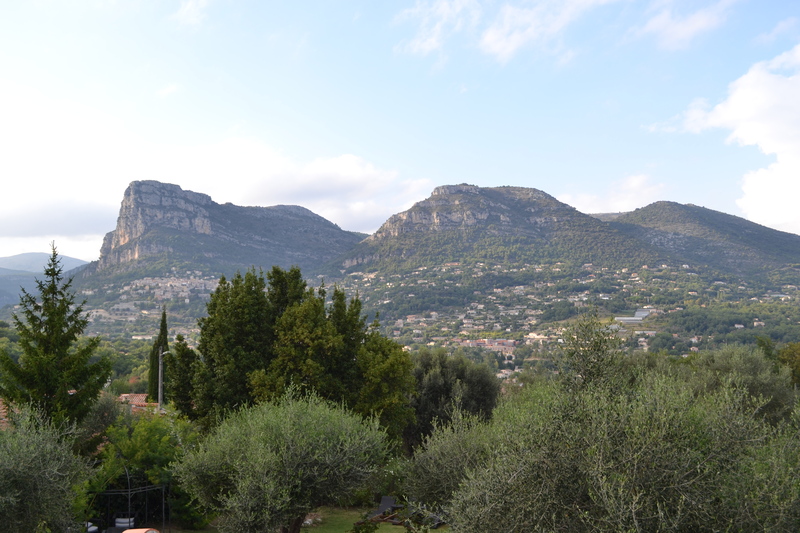 We stayed way up in the hills above town, probably at least 25 minutes out of Nice itself, and were still paying more than we were to be right in the centre of Paris. The hotel was actually pretty cool though, with some nice views and a sweet hill-climb drive to get there, and it was run by the loveliest old couple. We didn’t get to Nice until late afternoon due to our day in Montpellier/Pont du Gard, so were not keen to do much more except chill out. 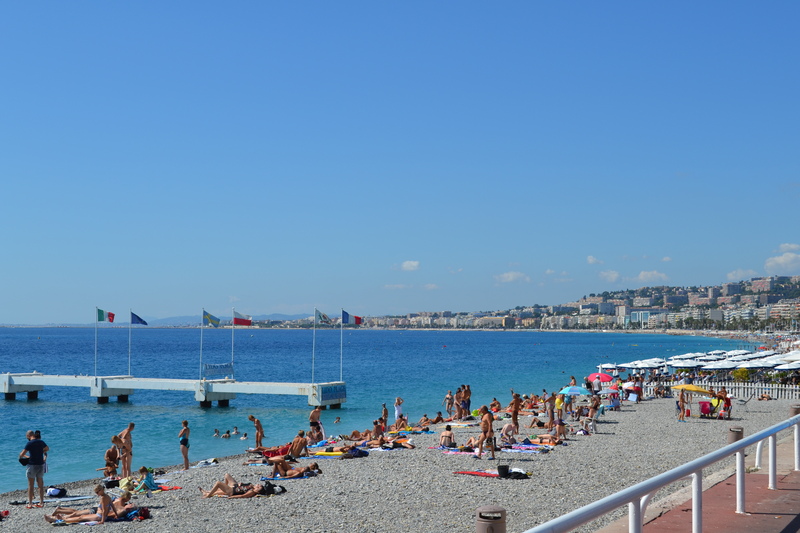 In the morning we headed down the hill to Nice for the day. 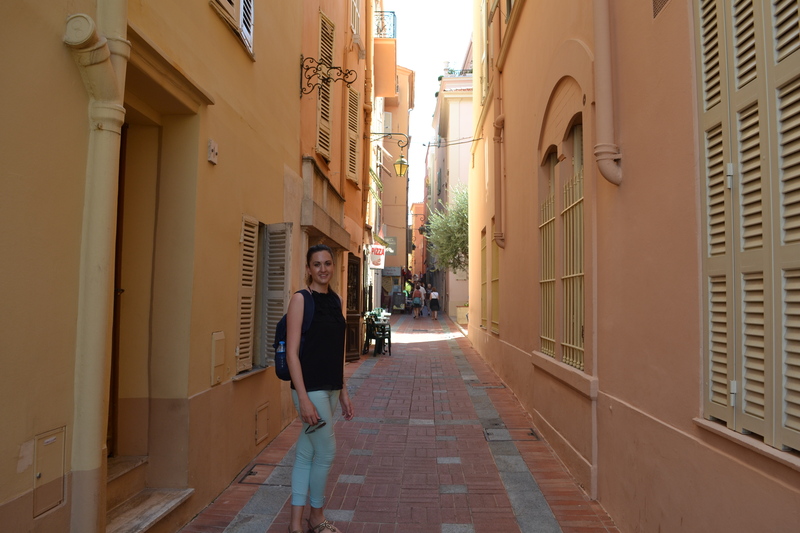 Thanks to my superior googling skills, we found a free carpark fairly close to the centre of Nice (maybe 5 mins walk) so felt that was a win for the day. We were slightly nervous about leaving the car there as the neighbourhood was quite dodgy and the first park we pulled into was next to a rugged car with a guy hiding in the back. Alex was still sick (with man flu – I have been told it is serious) so we decided to just take it easy. After a morning of strolling along the main boulevard by the ocean, we got hungry and stopped for some lunch, unfortunately, at a place which was run by a guy who should not have been involved with customer service or food preparation. For the afternoon we paid to rent deck chairs by the beach (number one because Alex just wanted to chill for the afternoon in the sun and number two I needed an umbrella if this was the plan as I would have fried sitting on the beach all day). We basically just read our books, had a vino, went for a swim, maybe a nap, and enjoyed the beautiful hot weather. What was unusual that we noticed was that no one swims in the ocean, despite the water being a beautiful temperature and the beach being very safe. In the evening we spied a pub on the way back to the car which was playing premier league football so we stopped and watched that while having an un-French but delicious pub meal. 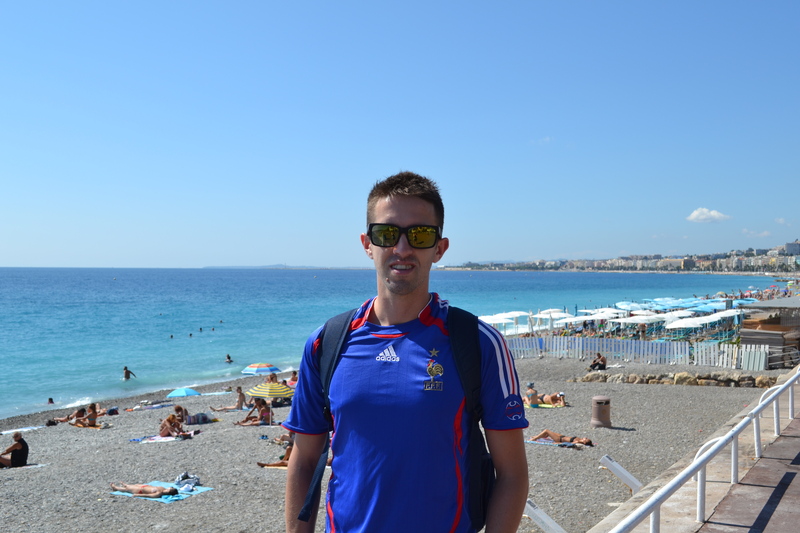 Overall, Nice was very nice (sorry to say it but it was). The sun was shining, the water was sparkling, and the people were not too rugged. 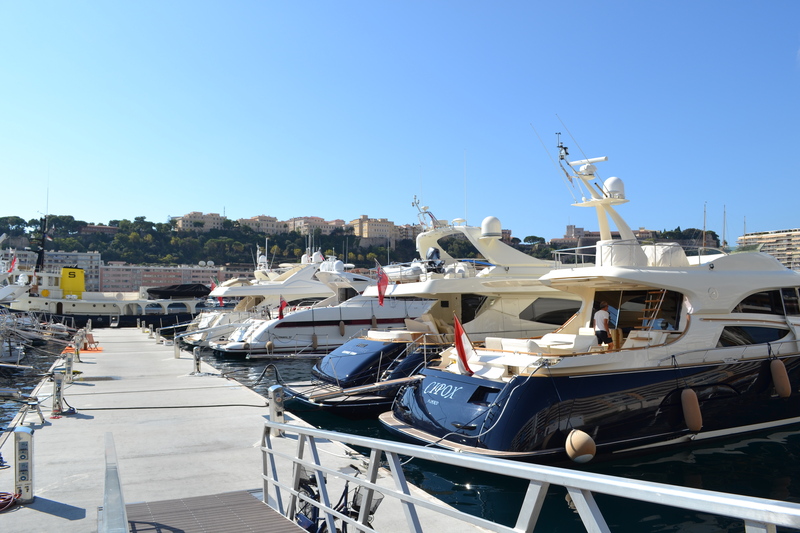 The next day was Monaco. I bought this beautiful dress in NZ before we left but had not had an opportunity to wear it where we had been so far on the trip as it was a bit fancy. 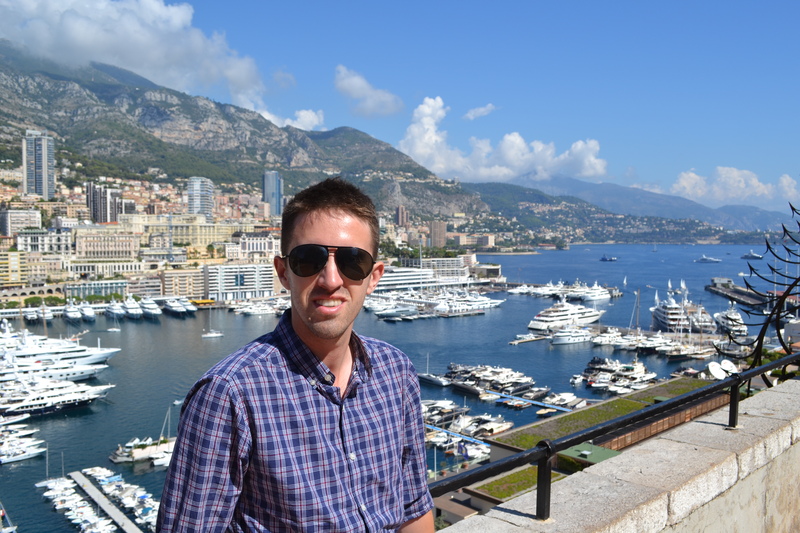 Seeing Monaco was probably the most fancy place we would visit, I jumped at the opportunity. All was bonn until I turned around and saw that the whole back of the hem was hanging down and was unsalvageable so had to change into a regular day outfit. Aside from this one drama, the day was amazing. 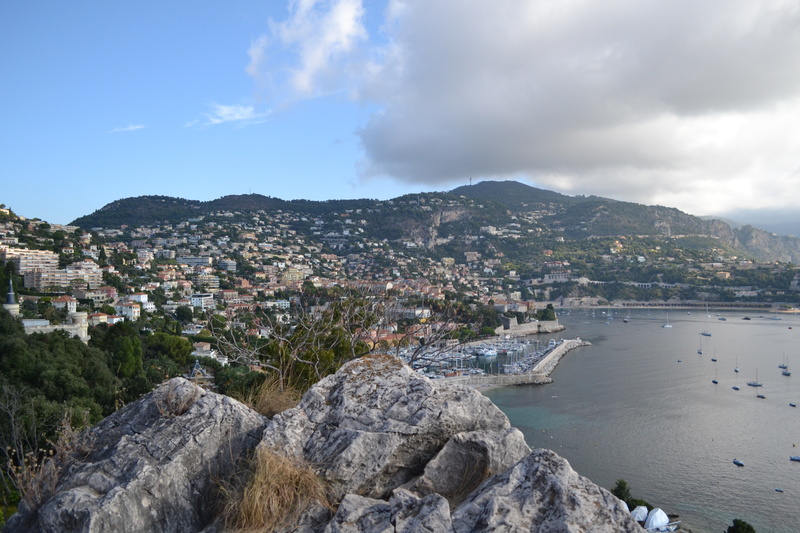 We took the coastal road around from Nice to Monaco to soak in all of the sights. One thing that we had been a little disappointed about in Europe so far was the fact that there is nothing interesting to see from any motorways, so it was nice to take a back road and have time to get out, take pictures and coffee. 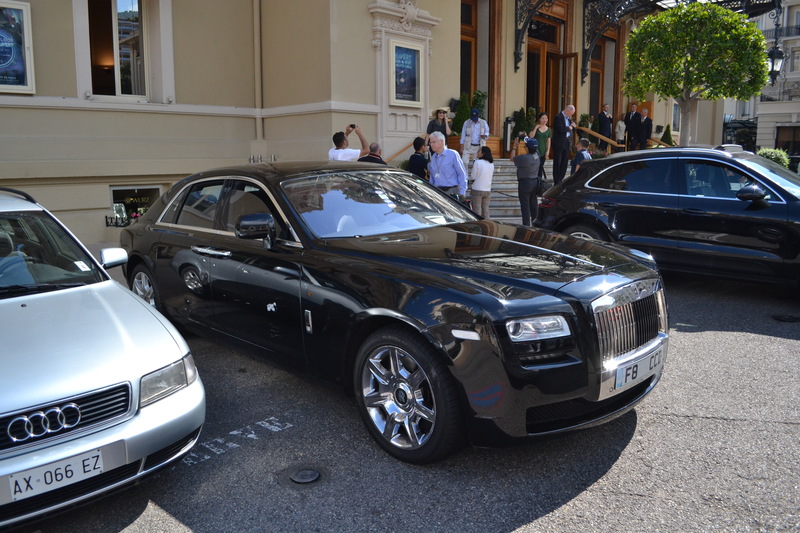 When we got to Monaco we came across a very smart innovation which was an entire road network underground so that there are virtually no cars driving the streets above (only the ones worthy of the Monaco streets – Rolls, Bentley, Ferrari etc). 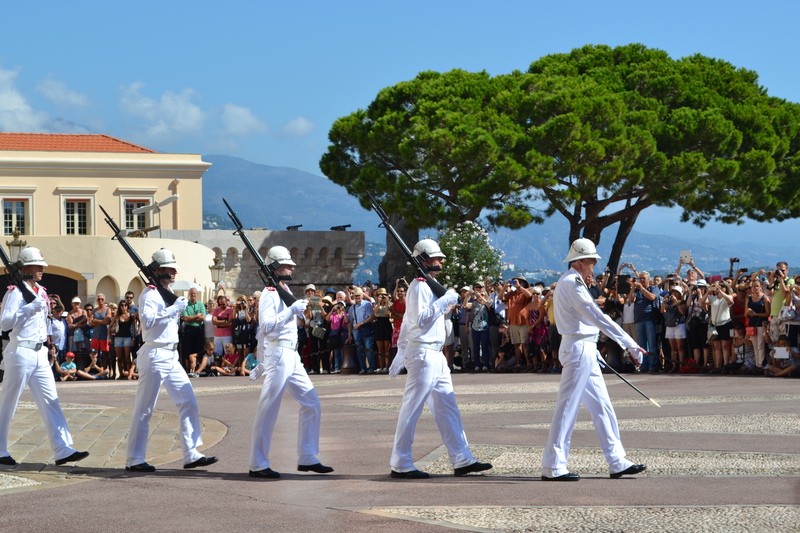 We parked in the centre and headed around the marina towards the Palace on the hill so that we could make the changing of the guards. 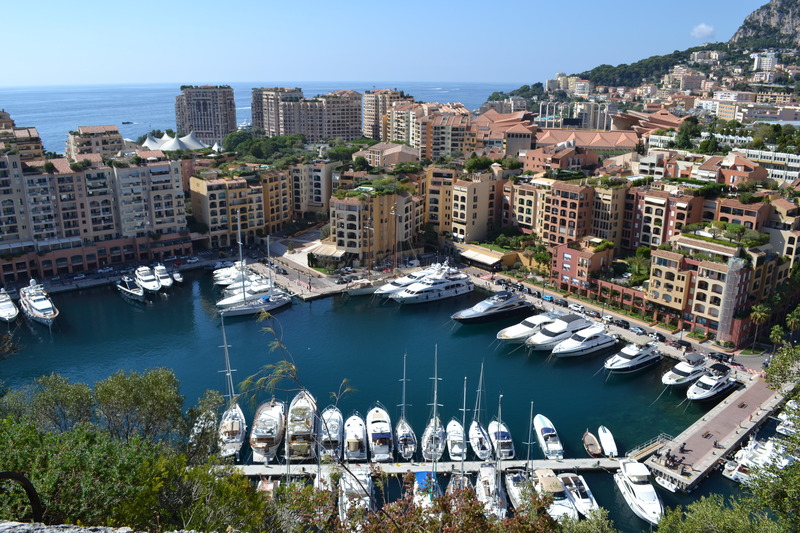 Once we got up the hill I realised that Monaco was my fairytale Europe. 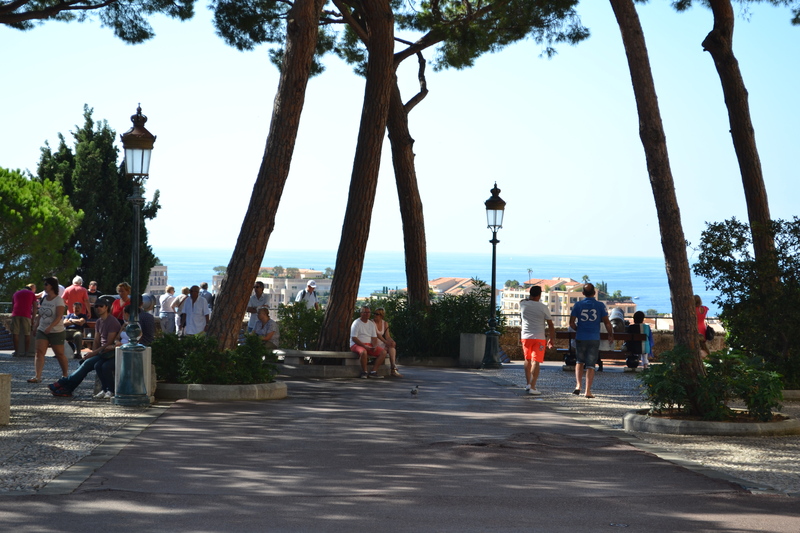 When I imagined an old European town, I imagined exactly what I saw on top of the hill in Monaco. I guess not every little town can demand that only millionaires live there so of course it is going to be perfect. Perfectly taken care of, perfectly clean, perfectly painted, sun shining. Perfect. 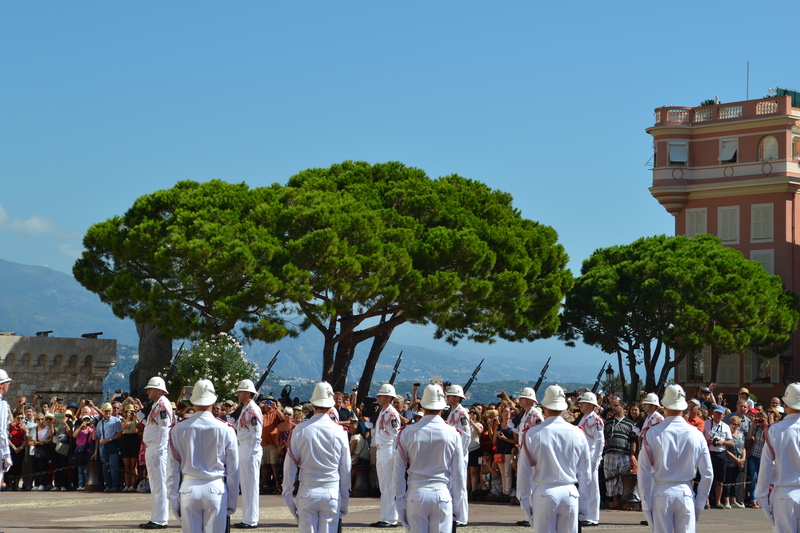 The changing of the guard really drew the crowds and with 15 mins to go, the square in front of the palace was completely full. I managed to get a spot about 2 rows back but thanks to the gift of height my view was not impeded, in fact I don’t even think the group in front of me made it above my shoulder. The whole thing lasted about 30 minutes and basically consisted of a lot of foreign language army calls, marching, banging rifles on the ground, but was not as much of a spectacle as I had hoped – no people riding in on horses, no ceremonial shooting of cannons. We then took a tour of the palace which was cool and informative but unfortunately we were not allowed to take any photos. After this we went and looked in the main cathedral where all of the monarchy who have passed are buried and although Princess Grace Kelly died in the 1980’s, her tomb was still completely covered (literally covered) in fresh flowers from mourners, whereas her husband who was the actual ruler of the country had one bunch of flowers. 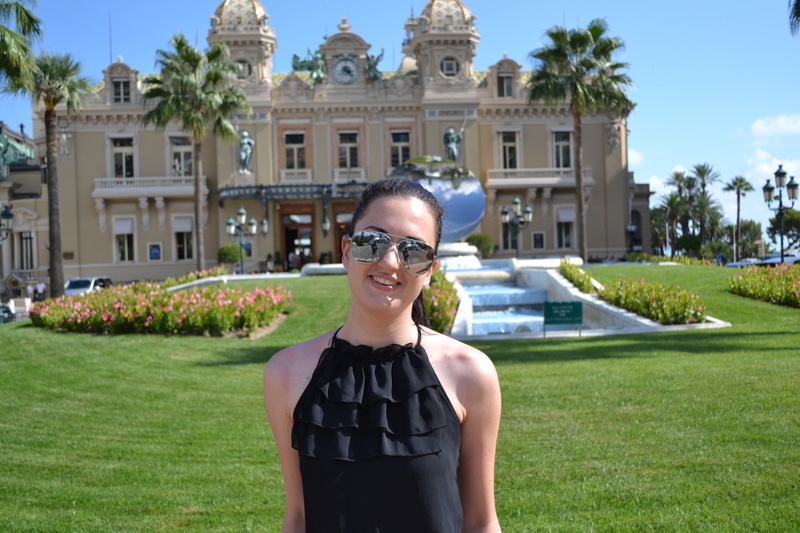 In the afternoon we wandered down the hill and over to the Monte Carlo Casino. The cars outside did not fail to impress Alex who spent about half an hour admiring. We then tried to go in for a look but found out that it is 20 Euro in total to get in so flagged that since we were not planning on doing any gambling and just wanted to see what it was like. 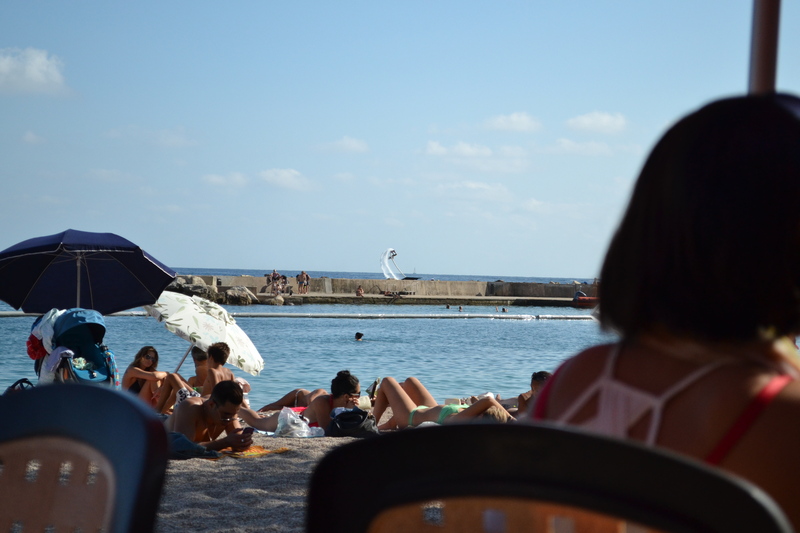 Instead we went and sat by the beach and watched a guy who was using one of those water-jet contraptions where there are jets of water blasting you up out of the water (see pic below if this makes no sense at all – the guy was very talented – doing backflips etc). 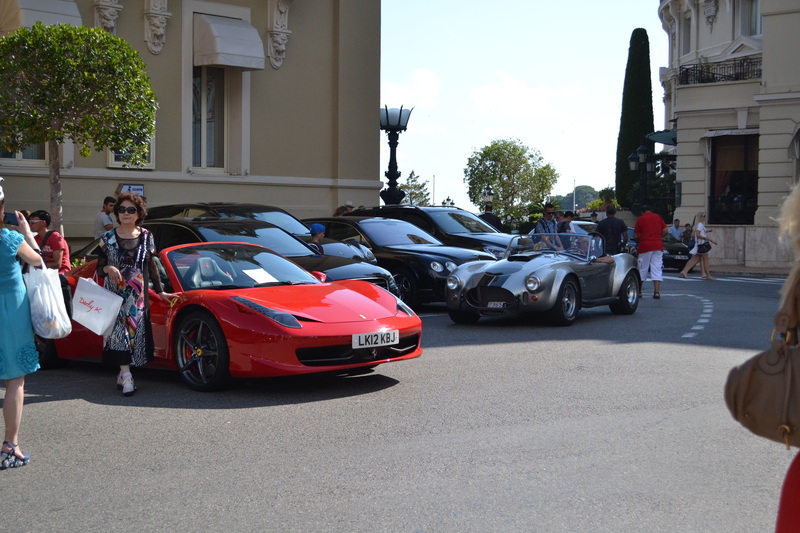 We really enjoyed Monaco. Apart from the glitz and glamour, we didn’t have too much of an idea as to what to expect. 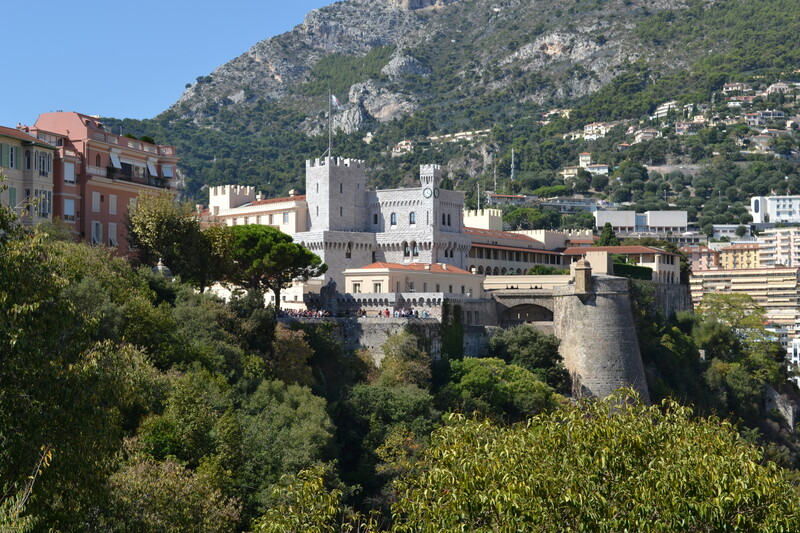 It is definitely worth a visit and you can easily tick another country off the list while only driving a short distance from Nice. In the evening when we got home, the lovely old couple who ran the place we were staying had set up a little table on the balcony of our room with wine glasses, candles and flowers. 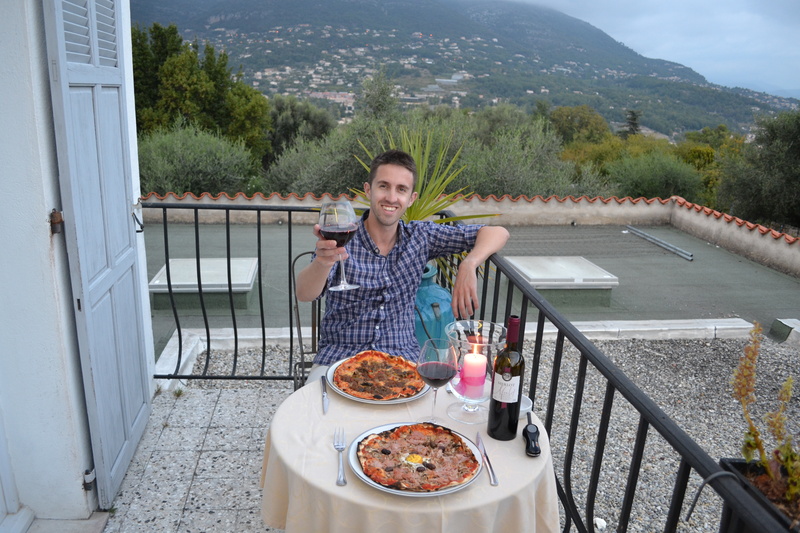 It was the cutest thing, so we ate our takeaway pizza (from a wood fire oven not a fast food chain) with an nice glass of wine and a beautiful view. Great way to end the holiday.